Clutter helps you move low priority messages out of your Inbox so that you can easily scan for important messages. Clutter analyzes your emails, and based on your past behavior, determines the messages that you’re most likely to ignore. It then moves those messages to a folder called Clutter so that you can review them later. 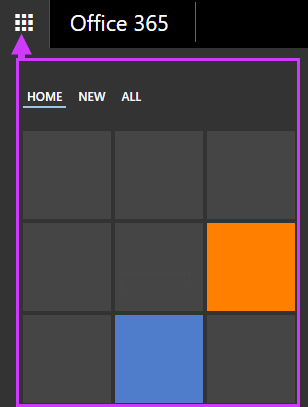 First, you need to turn on Clutter in Outlook Web App before you can use it in the Outlook client. Go to Settings > Options > Mail > Automatic processing > Clutter. Choose Separate items identified as Clutter, and then click Save. The next time you start your Outlook client, you'll see Clutter as one of the mail folders. If you see a message that was sent to Clutter by mistake, move it from the Clutter folder to your Inbox. If you see a low priority email in your Inbox, move it to the Clutter folder. Clutter and junk email are both filtered out before they reach your Inbox. Junk email is evaluated and filtered first, then Outlook processes the rules, if you have set up any. Next, Clutter analyzes the remaining messages and filters out the types of messages that you usually ignore or don't respond to, based on your past behavior. 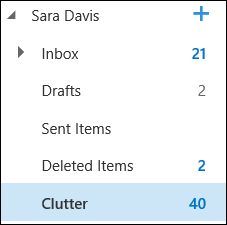 You can turn Clutter off at any time in Outlook Web App. Follow the steps at the beginning of this document to sign in to Outlook Web App. Then go to Settings > Options > Mail > Automatic processing > Clutter. Select Don't separate items identified as Clutter, and then click Save. Note The Clutter folder remains in Outlook after you turn off Clutter. 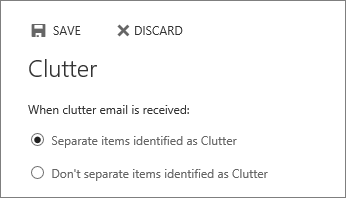 If you don’t want the folder listed under your Mailbox, move the emails from Clutter to other folders as appropriate, and then delete the Clutter folder.